For the past 16 years, TIME FOR KIDS has given students in classrooms across the U.S. a window to the world. Now, with its new FAMILY EDITION available on the iPad and iPhone, TIME FOR KIDS is coming home! TIME FOR KIDS FAMILY EDITION brings non-fiction stories to life on the iPad and IPhone with interative activities, videos and more! 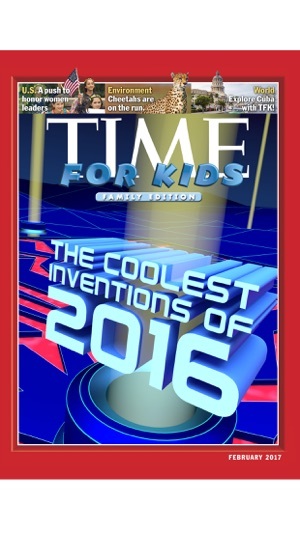 TIME FOR KIDS FAMILY EDITION delivers the award-winning journalism and photography you expect from the publishers of TIME and helps young readers understand world events. 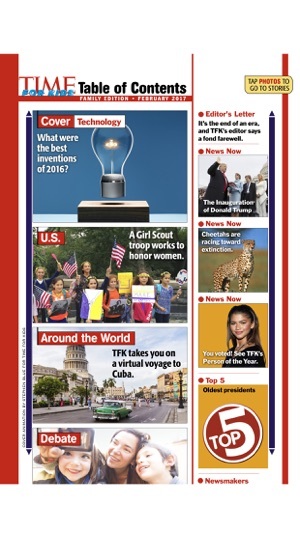 In each issue, readers will find engaging articles about kids, newsmakers and current events. 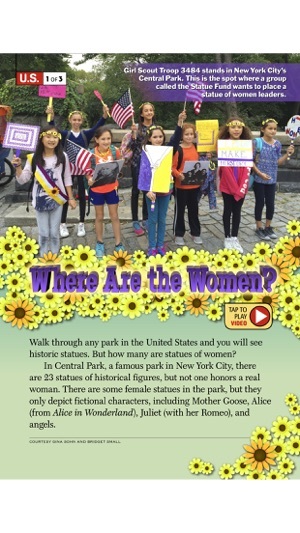 The magazine takes readers on adventures to faraway lands where they will meet other children and learn about world cultures. Colorful maps, vieos, entertaining photos and clear graphics bring the world to life. With TIME FOR KIDS FAMILY EDITION, curious kids and their families will be enriched, enlightened—and entertained. Download your FREE sample issue of TIME FOR KIDS FAMILY EDITION and authenticate with your current subscription to read past issues. We no longer offer new subscriptions. 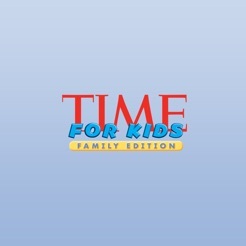 The TIME FOR KIDS FAMILY EDITION app has been updated! Download the NEW and IMPROVED TIME FOR KIDS FAMILY EDITION app with features that allow for a better reading experience, retina display, and bookmarking capabilities! Existing App Users - once you update the app, you’ll need to sign-in and re-download issues that you’ve already purchased/downloaded (there is no additional charge). If you do not update the app, you can continue to access any previously downloaded issues the way you currently do. Tap on the “App Support” button for additional instructions. Upgraded and optimized for iOS 10 so you can continue to enjoy reading TIME for Kids on your iPad or iPhone. Our kids love Time for Kids. The content interests them, and they eagerly read each issue as soon as available. Many interesting family discussions follow. The navigation, issue download, and payment processes are confusing. It's not clear what to do when, how to pay, how to stop paying, when and how much is charged - but the price is cheap enough we ignore that and just stumble through as best we can. My guess is that higher priced periodicals don't sell well on this platform, because the process is confusing, and when real money is involved, people will hesitate to use it. Fortunately, Time for Kids is cheap enough to enjoy no worries. My five-year-old daughter really enjoys these magazines!!! I also am able to use them in my kindergarten classroom as non-fiction text support to my instruction. I like having the ability to preview an issue, and the option to purchase just one, without having to purchase a yearly subscription. I have had no problems with crashing. I highly recommend this app!!! Awesome magazine, great writing and a fantastic way for kids to get involved with current events and in reading. 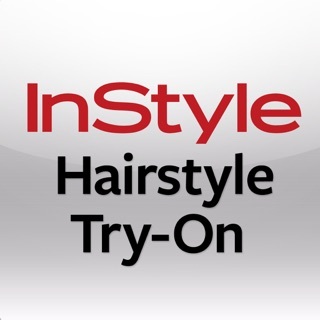 Like most other magazines through the app store it's free for the app and you have to pay for the subscription, so people please stop complaining about false advertising and read the full description. © 2016 Time Inc. All rights reserved.